Liczba stron: 76 Jest to ujednolicona liczba stron, która ułatwi Ci porównanie długości książek. Każda strona Legimi to 200 słów. 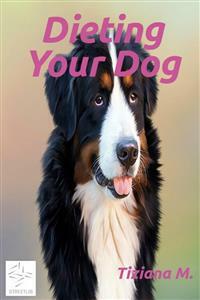 Opis ebooka Dieting Your Dog - Tiziana M.
Your dog is your buddy. In some cases the best friend. They offer you unconditional love and company. Some breeds live to please you. They can brighten up your day when you get home after a long day of the office with how excited they are to see you. It is a known fact that having a dog can improve your mental health and offer companionship for many people. Dogs can be trained to do a number of things, they can be trained to be a Seeing Eye dog, police dog, and even clown dogs. They can do tricks such as dance with your, sit, play dead.Dogs are mammals, just like us. If we eat too much and don’t exercise enough we are going to get fat as our dogs. If we eat food that is not good for us, we tend to feel lethargic afterwards and do not want to move. Eating unhealthy for us can cause a whole slew of problems from heart disease to diabetes. We can make our skin look unhealthy and our hair and when we go to bathroom. Well let us just say that it can be pretty ugly sight.Dogs are no different. If they eat too much and get no exercise they become overweight. If they eat food that is not good for them, they to can feel lethargic and have no energy. Opinie o ebooku Dieting Your Dog - Tiziana M.
Fragment ebooka Dieting Your Dog - Tiziana M.
Your dog is your buddy. In some cases the best friend. They offer you unconditional love and company. Some breeds live to please you. They can brighten up your day when you get home after a long day of the office with how excited they are to see you. It is a known fact that having a dog can improve your mental health and offer companionship for many people. Dogs can be trained to do a number of things, they can be trained to be a Seeing Eye dog, police dog, and even clown dogs. They can do tricks such as dance with your, sit, play dead. I love my dog. He is a 2 year old dopey golden retriever who is my protector and my buddy. I love the greetings I get from him when I walk in the door. I love the fact that when he wags his tail, his whole body shakes back and forth. I spoil my dog and to be honest I never gave much thought to what I was feeding him, or even how important it was. My whole life I have had dogs. You would think that I know all about their diet and how important it is for them to have a good diet. Well I don’t, or at least I didn’t up until a short while ago. I was one of those dog owners who didn’t give my dogs diet a second thought. I bought whatever dog food was one sale that week and never read the ingredients. I listened to my vet advertise brands of dog food and sometimes took his advice but other times didn’t because I knew he was being paid to promote the food. I could tell because of all the free samples he was trying to get rid of. I wasn’t however, one of those people who fed their dogs leftovers from the dinner table. Those are the people who fall for the puppy dog eyes that our dogs seem to have mastered. That is not to say I didn’t toss him a taste every now and then, but for the most part, I never fed him. Some of the food we eat can be toxic for a dog, and greasy foods, or fried food, forget it. Have fun cleaning up after him after that mess! It wasn’t until I noticed my dog’s coat not looking as shiny as it once did. Other dog owners have said it wasn’t until their dogs began scratching themselves silly or not have much energy that they notice something was the matter. One person said it wasn’t until their dog’s stomach grew so much from him being overweight did they realize their might have been a problem with the food. Dogs are mammals, just like us. If we eat too much and don’t exercise enough we are going to get fat as our dogs. If we eat food that is not good for us, we tend to feel lethargic afterwards and do not want to move. Eating unhealthy for us can cause a whole slew of problems from heart disease to diabetes. We can make our skin look unhealthy and our hair and when we go to bathroom. Well let us just say that it can be pretty ugly sight. What they eat can affect their coat and their skin. Dogs can get most of the same diseases we do. They can get cancer, they can get heart disease, and have heart attacks. They can even get diabetes. This is why it is so important to understand why your dog’s diet is so important to their lives. Just like with us, dogs are what they eat, just like we are. Unfortunately though a dog can not tell you when something does not feel right on them, or when they have a stomach ache from the food they eat. Most of us watch what we eat because of the health benefits that come with the effort, and it is the same thing in our dogs. A dogs diet needs are not that different from our own. They require the same vitamins and minerals as we do just not in the same quantity. They require protein, carbohydrates and fats just like we do. Their stomachs work similar to ours. There are only a few differences. If we eat too much and not exercise enough, we get overweight. Overweight can bring on a whole slew of problems for us. For a dog, it is no different. If they eat too much and do not get enough exercise, they too will become overweight and they too will deal with a whole slew of problems also. The food we put into our body can affect our skin and our hair. The food we put on a dogs body affects their skin and their hair. Why do some dog owners think otherwise? We eat certain foods to give us the nutrition we need to keep us healthy. The same is true for dogs. While they can not eat the same foods we do, careful attention should be paid to the ingredients in dog food to make sure they are getting a healthy and nutritious meal. Poor diet in dogs could mean many things. Dogs with a poor diet do not have high energy levels, they many develop healthy problems down the line, they can be overweight or underweight. They can have teeth problems, bad breath, infections. The list goes on and on. An unbalanced diet for you dog could mean a shorter lifespan that your dog has. Just as important as a good diet is, it is just as important to keep your dog on a feeding schedule. Free feeding your dog is almost like an invitation to obesity for some dogs. They can just graze all day. Getting your dog on a set schedule will help his diet in the long run and also his potty and business breaks outside. Most dog owners consider their dog part of their family. Keeping a dog on a good diet has tons of benefits. You could be preventing a number of diseases, stomach issues and even be preventing cancer in some dogs. Just like us dogs can get cancer, they can get diabetes and they can even suffer from high blood pressure. What does your doctor tell you to do if this were to happen to you? Your doctor would tell you to change your diet. So when should a dogs good nutrition start? Right from the moment they are born. In fact pups get an excellent source of nutrition and antibodies right from their mothers. In the first 24 hours after they give birth, a female dog will produce a liquid called Colostrum. This is the same liquid that women produce right after they give birth but before their milk comes in. In this colustrum are antibodies that the mother has been exposed to by the vaccinations she has received. So if you have a mother who is up to date with her vaccinations, her pup will be protected at least until they are old enough to begin their vaccine schedule. Usually the antibodies will stay in a pup’s blood until they are a few weeks old. Without colostrum a pup’s chance of survival can be drastically reduced. Colostrum is a source of protection and nutrition and is also playing a part in maintaining the fluid level in your pup. In order for a new pup’s heart to work, it needs a high volume of fluid. Colostrum helps balance this all out.